The official website for Copperhead contains a trailer; the Internet Movie Database contains a list of characters and actors. The film's website lists the release date as June 28, 2013. The location of the filming was Kings Landing, New Brunswick, Canada. Kings Landing includes over 70 historic buildings, complete with artifacts, furniture, tools and equipment” from the 1800s. 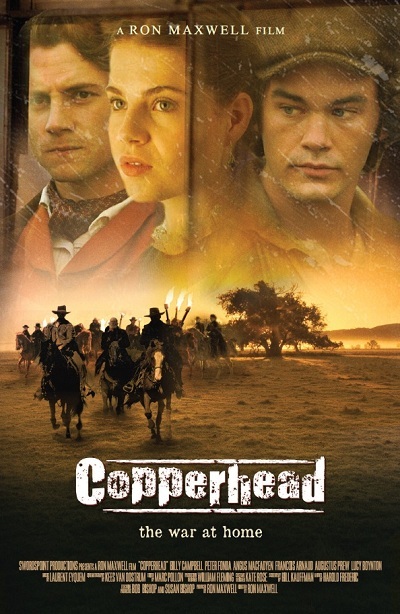 The film is based upon a short story, Copperhead, by Harold Frederic; he was was an New York state journalist, novelist and short story writer. Frederic was born in 1856 and is considered as a realist author writing between 1887 through 1898. "Copperhead, Ron Maxwell’s latest film now shooting in Atlantic Canada, is ostensibly about families on the homefront split by the bloodshed of the American Civil War. 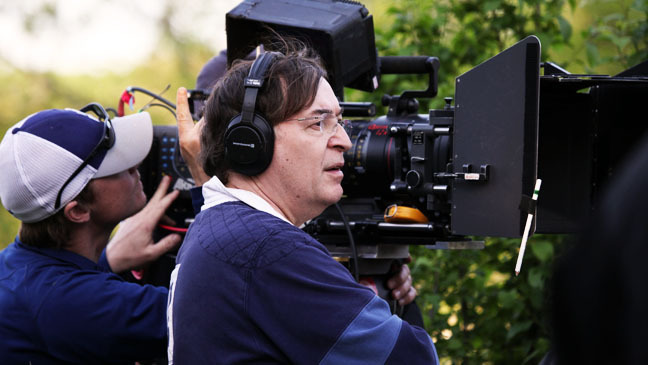 But as much as the director of Gettysburg and Gods and Generals is keeping his focus on events in 1862 and telling a compelling story, Maxwell insists his latest Civil War costume drama will inevitably be seen by cinema-goers as an echo of America’s reaction to current events in Iraq and Afghanistan." “I keep it (Copperhead) with as much integrity as I can in 1862, but people will watch this film and leave the theatre and say, ‘Wow, it was like a 150 years ago, and it’s like now,’” the director said from King’s Landing, New Brunswick, where he’s shooting the Jason Patric and Angus MacFadyen-starrer set in 19th century upstate New York. “We’re living through similar times. There’s these great causes articulated -- we’re liberating and we’re freeing people, we’re changing the world, we’re defending liberty – and it’s the same rhetoric with the same consequences,” Maxwell insisted about the cost of war, then and now. Unlike his earlier Civil War-era epics set on bloody battle fields, Copperhead has a central focus on families back on the home front, burying their dead and feuding amid widespread fear and political panic. “People die, and it’s mostly young people, it’s mostly the people who have no say in the politics, who have voice in it and who bravely, and with great courage and patriotism, put themselves in harm’s way and pay the price,” Maxwell added." "Copperhead, based on the 19th-century novel of the same name by Harold Frederic, and adapted by Bill Kaufman, examines the price of dissent amid the hysteria of war, as a family is ripped apart by Civil War-era events. The film, which takes its name from a derisive term used during the Civil War to insult Northerners who opposed the historical conflict, sees Patric play the patriarch Abner Beech, while MacFadyen performs the role of Jee Hagadorn." "At the same time, Maxwell sees political parallels between 1862 and today where few Americans and Canadians have been left untouched by a decade of brutal war and bloodshed in Iraq and Afghanistan, “By this time, you have to be living like Rip van Winkle not to understand the devastation that both these wars have wrought on our population,” he said. Copperhead, which has yet to secure U.S. distribution, will likely be between 95 and 115 minutes in length, Maxwell said. That’s far shorter in length, and more intimate, than his earlier Civil War epics, where Gettysburg, financed by Ted Turner, was four hours and 15 minutes, and Gods and Generals was three hours and 45 minutes." Bottom Image Souce: Hollywood Reporter. 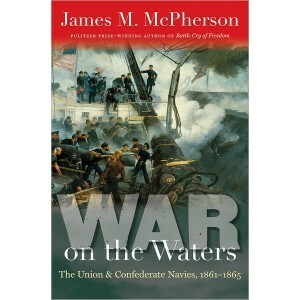 War on the Waters: The Union and Confederate Navies, 1861-1865, James M. McPherson, University of North Carolina Press, 23 illustrations, 19 maps, notes, bibliography, index $35.00. War on the Waters: The Union and Confederate Navies, 1861-1865 is a clear and concise description and analysis of the Civil War's naval mobilizations, battles and diplomatic impacts. Within 250 pages, McPherson offers a primary source centered narrative that is enjoyable to read. Offering a chronological story, he places the navies' developments, successes and shortcomings within the context of the land campaigns and political conflicts. Within eleven chapters, McPherson describes the brown water and blue water fleets and the significant engagements of both navies. Much of McPherson's story may be new to Civil War enthusiast who regularly reads army and land battle narratives. Admiral Farragut's cannon, recently employed in the Mississippi Delta in late April 1862 challenged Vicksburg on July 1 of the same year; Farragut asks for Vicksburg's surrender and is refused. International law and diplomacy are set within the context of Europe's approach and avoidance policies toward the Confederacy. The earth's oceans the scene of commerce raiding, near piracy, and chases. 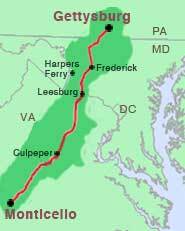 The destruction of a segment are of the North's merchant marine by Confederate commerce raiders cause repercussions that lasted beyond the end of the war and settled by international courts. McPherson offers thorough evidence that the U.S. Navy was a major factor in the success of the Union's war effort and that the C.S. navy was, without a doubt, innovative and a considerable impact on the length of the war. With a meager 5% claim on the Union's military budget and assets, the U.S. Navy produced results disproportionate the expenditure. With even less funds available the C.S. challenged in a dramatic fashion the North's blockade and commerce. His narrative frequently is moved forward by the personalities of the inventors, sailors, and politicians. War on the Waters: The Union and Confederate Navies is a pleasure to read and accessible to general readers including high school student working in advance placement courses. The 19 maps are uncluttered and offer details relevant to the narrative. 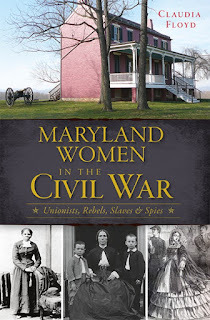 From The Publisher: On July 9, 1864, young Mamie Tyler crouched in a cellar as Union sharpshooters above traded volleys with Confederate forces. After six excruciating hours, she emerged to nurse the wounded from the Battle of Monocacy. This was life in a border state and the terrifying reality for the women of Maryland. Western Maryland experienced some of the worst carnage of the war, and women turned their homes into hospitals for the wounded of Antietam, South Mountain and Gettysburg. In Baltimore, secessionists such as Hetty Carry fled arrest by Union troops. The Eastern Shore’s Anna Ella Carroll plotted military strategy for the Union, and Harriet Tubman led hundreds of slaves to freedom on the Underground Railroad. Author Claudia Floyd draws on letters and memoirs to chronicle their stories and present a fascinating and nuanced portrait of Maryland women in the Civil War. Remains of U.S. S. Monitor Sailors To Be Buried At Arlington, Michael R. Ruane, Washington Post, March 7, 2013. The wind rustled the red, white and blue flags on the two caskets. It blew the pantlegs of the waiting ceremonial guard, and it lifted the jumper flaps on the sailors’ uniforms. It might have seemed familiar to the two shipmates whose bones were borne from the hold of an aircraft Thursday, a century and a half after they perished in a storm off the North Carolina coast. But the two men, who died aboard the USS Monitor in 1862, were safe from the winds now, and back in the white-gloved hands of fellow sailors who were readying them for their burial Friday at Arlington National Cemetery. The two sets of remains, which were found when the famous Monitor’s 150-ton turret was raised from the bottom of ocean in 2002, arrived at 11:30 a.m. at Washington Dulles International Airport. They were flown through Atlanta on a Delta Airlines commercial flight from a military identification laboratory in Hawaii. There they had been studied for the past 10 years, and their identities sought, in vain. As the plane landed, passengers could be seen taking snapshots from the windows, and the plane’s pilot, Capt. Steve Manley, came down from the cockpit, stood at attention and saluted near the nose of his jet. Manley had told the passengers about the remains, explained the history of the Monitor and asked that people stay in their seats until the caskets were unloaded. As the gusts came, and quiet commands were issued, the caskets were then carried by a Navy Ceremonial Guard to two gray hearses, which took them to an Arlington funeral home to await burial Friday. One of the most renowned vessels in history, the Monitor is famous for engaging in the first battle between ironclad warships on March 9, 1862. Its opponent was the formidable Confederate ship CSS Virginia, formerly the USS Merrimack. The battle in Hampton Roads was a draw, but many people thought the Monitor had saved the Union from the Confederate behemoth. The Monitor and its crew became national heroes. The ship was swarmed with visitors who begged for autographs. One woman, given a tour, kissed the guns. An emotional President Abraham Lincoln went aboard and reviewed the assembled crew, hat in hand. But 10 months later as the Monitor was being towed off the coast of North Carolina, it got caught in a fierce storm, capsized and sank. It went undiscovered until a scientific team located the wreck in 1974. Most of the Monitor’s crew escaped the sinking, but 16 men died, including the two who were trapped in the turret. The names of all 16 are known, but experts could not determine which of them were the ones who were recovered. One was a younger man, about 21, whose skull showed he had suffered a broken nose and whose feet were clad in a pair of beat-up, mismatched shoes. The other man was older, about 35, and his bones showed that he might have had a limp from a previous injury. He also had a groove in his left front teeth, probably from clenching a pipe, and he wore a gold ring with a crude swirling pattern on a right-hand finger. The arrival at Dulles was emotional for some of those who had been working on the Monitor project for years. “I was thinking of the irony that these men who fought to preserve the Union flew over a United States last night that they couldn’t even have comprehended in 1862,” said David W. Alberg, superintendent of NOAA’s Monitor National Marine Sanctuary, who was aboard the plane. Image Source: Civil War Librarian LLC. This is a photo of a cast of the remains as they were found in the recovered turrent of the U.S.S. Monitor. The cast of the turret's interior is on display at The Maritime Museum located in Newport News, Virginia. Trees Tell Lost Tales of Civil War Soldiers, Deborah Block, Voice of America, February 28, 2013. The U.S. Civil War was the bloodiest war in American history. From 1861 to 1865, at least 620,000 soldiers died in the fighting. The war was fought between the states of the North - the Union, and the South - the Confederacy, which were divided over states’ rights, including slavery. Now 150 years later, the soldiers who died are being memorialized through a tree planting project that will span four eastern states where many of the battles took place. These are the faces of soldiers who were pitted against one another during the U.S. Civil War. More than half the soldiers died and most are no longer remembered. The first trees were planted in November on a former plantation called Oatlands in Leesburg, Virginia. Today, the early 19th century home is owned by a historic trust. Andrea McGimsey, executive director of Oatlands, says the estate was a natural place to begin the tree project. “Oatlands has some very old trees and they were here during the Civil War time. Many of them are actually going to be adopted as part of this project,” she said. McGimsey says Oatlands was also part of civil war history. “Oatlands had 128 slaves in 1860, right before the Civil War started. And also the family who lived here had two sons who joined the Confederate Army.” Richard Williams, the grandson of the last family that lived in the house, says one of his ancestors was a famous Confederate general. His family still owns property next to Oatlands, and they too are involved in planting the trees. “We’re hoping as private landowners we can also show it’s a great success and encourage some other private landowners,” Williams stated. The $65 million project is being financed through private contributions, in which individuals can also help by donating $100 for a tree. The trees will be geotagged to allow Smart Phone users to learn the story of a soldier. “These trees will have a number associated with a person. They can use GPS technology to find out who these people were,” Erickson noted. Eleanor Adams has contributed a tree to honor her ancestor, Joseph McGowin, a 23-year-old Confederate soldier from the southern state of Alabama who was shot and killed. He fought, along with several brothers, only two of whom survived the war. McGowin wrote letters to his family about the hardships on the battlefield. “He talks about sickness, the heat in the summertime, the bad food - really a tough time being a soldier in those days,” she said. Adams hopes other relatives will join her in planting trees for the rest of the brothers who died in the Civil War.